A trio of Humpbacks perform a synchronous dive. 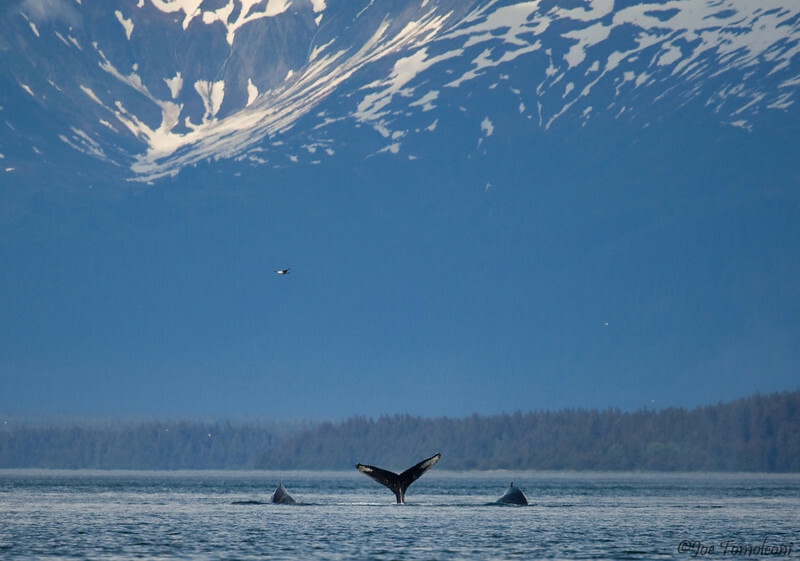 The cold, nutrient rich waters of Alaska are the preferred summer feeding grounds for thousands of humpback whales. These same whales undergo an annual migration to Hawaiian waters during the winter so that they can birth and nurse their calves in warm protected tropical waters, free from the threat of predation by killer whales. Tropical waters are oligotrophic (or nutrient poor) however, which means there is virtually nothing for the adult whales to feed on while their calves get fat off their milk. Eventually, the adults will have depleted their fat reserves and must begin the journey north to more productive feeding grounds.